Amateur astronomer sightings of solar orbs and solar UFOs have increased dramatically in the past three years... why? What are these inexplicable objects? It only took world media TV outlets 3 to 4 years to realize there was a breaking story they were missing entirely: solar “orbs” or solar UFOs. Better late than never, Chinese TV has taken the plunge and started reporting on this phenomenon that most scientists won’t utter a word about. There’s a whole new genre of unexplained aerial phenomenon which has gripped the imagination and grassroots reporting interests of Americans and others globally in the past several years: observing the sun on SOHO and other NASA related satellite feeds. What people allege that they are finding while scrutinizing these feeds would be jaw dropping beyond belief, if it could be proved true. Copyright 2011-3011 Alternative News Report, All Rights Reserved. Re-posts are permitted leaving all content and copyright stamp, author, title and link-back intact. International copyright secured in perpetuity. My readers are all used to my “newsy citizen journalist self” which reports, posts and comments on the flavor of the week in our national idiocracy. Mostly you all are not too familiar with my shamanic side, which I have mostly kept to myself for obvious reasons. Shamanism is defined in a hundred subjective ways and just the word itself make many uncomfortable. My own definition for shamanism is simple: “experiential spirituality.” That term opens a Pandora’s box of inexplicable experiences, and I can’t get into a lengthy post on “what is shamanism” just right now. Something else is more urgent to be shared and discussed. Something is very wrong. Or might I just say something is VERY different about the sun. Not only does the sun look nearly 15 to 25% larger, whiter and brighter in the early mornings and late evenings, but damn it, the sun is not setting in the right place for June, July and August on the west coast of North America. It’s setting too far north. I have debated my own possible madness as I have studied where the sun is, as opposed to where it ought to be for this time of year. 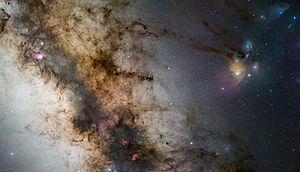 Nights at 3 am you will find me standing outside my house in the dead still of night, craning my neck, intently studying the position of the Milky Way galaxy as it sprays across the night sky. Problem is, once again, it’s not spraying out in the “appropriate” direction for summer in the northern latitudes. I have been staring at the night sky from some sort of wilderness location all my life. 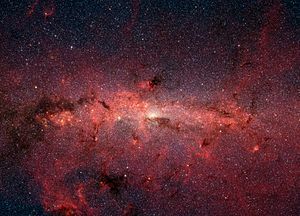 Why is the Milky Way now in the wrong position for summer? At night right as I am falling asleep, there is a re-occurring phenomenon that began happening to me in mid-March of this year. The first time it happened I sat straight up in bed, convinced I had experienced a mild earthquake. When I went to the internet the next morning, there had been a 4.9 earthquake all right, but it had been nearly 675 miles to the south of me, down in southern California, in Baja. It should have been physically impossible for me to feel that quake. Oddly, not only did I feel the quake, but I had precognited that it had come from the south. I knew it was far from me, but I assumed the San Francisco basin or close-by. OK. I felt a small quake when that should not have been possible from 675 miles away. But it gets odder. After that quake experience, I began to have another experience right on it’s heels. It began that same night, just a few minutes later. This feels really odd even trying to explain what this felt like. Ummm. Whew, Embarrassing. OK. The only way I know how to say this was that after “feeling” the 4.9 Baja earthquake, I suddenly had a new ability, and it’s not one I had asked for, although I am very deeply grateful for it now. I was lying on my stomach wide awake and thinking over what it felt like to literally feel the earth shivering and shuddering all the way through the floor. Suddenly I realized that the earth was still moving, and that I could still feel it. This movement felt like a surging powerful river of “something” that was grinding and gurgling deep underneath the surface of the earth. This could also be likened to a boiling, roiling feeling, similar to an angry storm surf. Whatever this roiling and boiling was, or is, it is slowly altering the earth’s surface in infinitesimal degrees. I cannot tell you HOW this is happening, but I know it is happening. As bizarre as all this sounds, there is a relationship between the deep “roiling and boiling” river of “something” which is roaring beneath the earth’s crust and the oddly askew positions of the sun and stars in the northern latitudes. I can’t tell you how I know that either, but my soul has done the math on it. And knows. For months now, each night as I fall asleep, a part of me “falls into the earth” where I experience this deep inner “roiling, churning and boiling” that is going on beneath the earth’s surface. This is as physical and literal to me as standing on the beach feeling the wind and watching the surf roll churn and boil. I’m NOT trying to wax “green” or give an environmental speech here. But I can say this with certainty. Our earth has a consciousness and that consciousness is deeply off center and is terribly pressured and distressed. This I know. This “roiling and boiling” is some sort of monumental effort to right itself and come back into proper rotational stasis. This I also know. Can’t for the life of me tell you how. Even though this post is presently an unfinished work, I am posting it and will add more to it soon. There is more to tell here. I just need to get “spiritual clearance” so to speak, from within, before I spill more beans. Tonight I found some things that helped me to realize that it’s not just me. Something IS different. Others are seeing and noting this too. Here’s what the Inuit and some others are saying about it. I want to let readers know that there are most likely hundreds of these videos pouring onto Youtube, so many that it would take pages and pages to post them all. Luckily there are so many that there is NO WAY YT can censor all of these. I found dozens and dozens and dozens of these. I only posted a few. Stop and think that over. It’s another manifestation of global unity consciousness. That I do absolutely know.The wisdom of the average man and woman comes bubbling up, for those who have eyes to see. People are noticing something and so they record and upload it. Have a look. This is a topic I will return to many times with many more updates. See below. The sheer numbers of amateur videos which are being uploaded to the web which show astounded everyday people witnessing extraordinary UFO events is making it impossible to censor what is taking place. I only post about 25% of what I find online. I am not locating anything even close to the actual numbers of good quality home video of these incidents. These are just everyday people going about the business of living their lives, when they are suddenly, quite accidentally, confronted with inexplicable UFO events. Watch what happens as these stunned people pull off the road, keep filing, and what this mothership does. It almost seems like the mothership is trying to create a spectacle on purpose. Is this global phenomenon part of a deliberate, planned, worldwide “disclosure” plan? It makes me wonder. I am gathering more and more evidence which suggests that a very serious secret air war between the military of the world’s largest nations, and some sort of alien / reptilian contingency, is now taking place, and most likely has been taking place for some time. These videos just seem to fall into my lap. I certainly don’t go looking for them. But since what I am doing in my truth reports is guided by the Holy Spirit, and since I pray over my work daily, I should not be surprised. It would have been practically impossible to fake this footage. I found it today and here it is. Share this with those you know and love. We are slowly but surely getting to the bottom of the ugliest, most sinister, hidden story on earth: the story of the secret wars between human military and the invading alien parasites on our world. 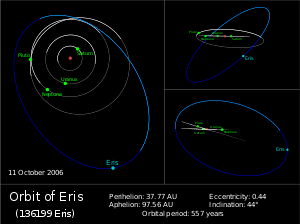 Eris is another name for Nibiru, aka Planet X. Many consider comet Elenin to be Nibiru. Misleading names given to multiple astronomic phenomenon is a disinformation technique used to confuse the public and discredit / discourage independent research on Nibiru. I had a note in comments this morning from a reader who claimed that every video on this site is now blacked out. Naturally I hurried to investigate. It turned out I located one video which had been removed by the user. False alarm, but worth mentioning what is going on behind the scenes for truth reporters. If you locate a video which had been removed, either by Youtube or by a YT user, please email me asap with the URL where you found it, so I can find a replacement and correct the missing info. Send your “video missing” note to spiritscribe@yahoo.com. I want to let readers know that there is an active campaign going on, on the web, to remove all evidence of many Illuminati operations, factual information about what they are doing in a broad sweep of different topics: HAARP, Nibiru, UFO incidents with the military, underground tunnel and news D.U.M.B.S. construction. Most specifically, there is a global effort going on by the governments of the world to suppress the truth about the celestial object which is soon to be passing through our solar system, carrying it’s own small “solar system” along with it, referred to as Nibiru, aka Eris, aka Planet X. On my first wiki founded in 2008 nearly 1/3 of the videos that I posted about Nibiru have been removed by Youtube since I posted them in the fall of 2008. This news blackout [censorship] campaign is real and it is ongoing. Many times I can find a replacement video from another YT user and put it right back up. But help me stay abreast of video information posted on my pages. I’m taking care of 4,000 pages on nine blogs, so I can’t be everywhere. When you find a missing video, copy it’s url and mail it to me at spiritscribe@yahoo.com. Superman, resting and re-charging in his fabled icy northern cave of Kryptonite super crystals, to restore his super-powers, might actually envy this location for a top-secret home instead. You simply must see this to believe it. Anyone who knows just a bit about the electromagnetic and spiritual drawing and power of crystals would have to stand in stupefied awe of this discovery. Just take a look. Honeybees have become the first invertebrates to exhibit pessimism, a benchmark cognitive trait supposedly limited to “higher” animals. If these honeybee blues are interpreted as they would be in dogs or horses or humans, then insects might have feelings. Bateson and Wright tested their bees with a type of experiment designed to show whether animals are, like humans, capable of experiencing cognitive states in which ambiguous information is interpreted in negative fashion. Of course, unlike unhappy people, animals can’t say that the glass is half-empty. Researchers must first train them to associate one stimulus — a sound, a shape, or for honeybees, a smell — with a positive reward, and a second with a punishment. Then, by prompting the animals with a third, in-between stimulus, it’s possible to assess their outlook. Like a depressed person seeing hostility in a neutral gaze, pessimistic animals tend to treat that uncertain stimulus like a punishment. Such tests might seem simplistic compared to the richness of human emotion, but they’re the most objective available tool for comparing cognition across species. And pessimism is no mean feat: It’s a form of cognitive bias, considered in humans to be an aspect of emotion. You can’t be pessimistic if you don’t have an inner life. Earlier research has found rats and dogs capable of pessimism. Bateson has also documented pessimism in starlings. But though honeybees have passed tests of pattern recognition and spatial modeling, the idea of feelings occurring in their sesame-seed-sized brains is generally considered unlikely, if not downright laughable. Until now, though, they hadn’t been tested. Bateson and Wright trained their honeybees to associate one scent with a sugary reward and another scent with bitterness. Then they shook half their beehives, mimicking a predator attack. Afterwards, shaken bees still responded to the sugary scent, but were more reluctant than their unshaken brethren to investigate the in-between smell. Further analysis of the shaken bees’ brains found altered levels of dopamine, serotonin and octopamine, three neurotransmitters implicated in depression. 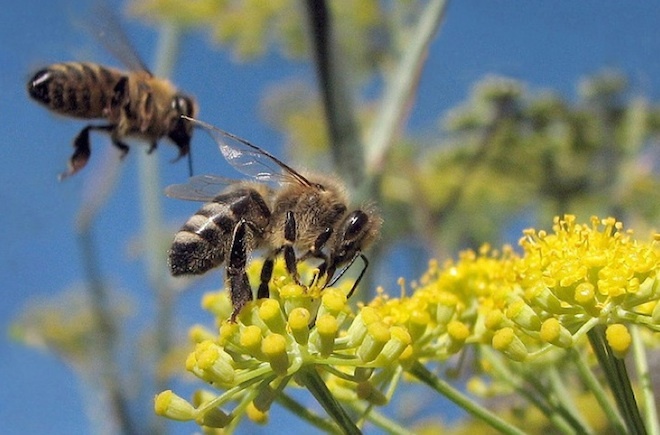 In short, the bees acted like they felt pessimistic, and their brains looked like it, too. In future studies, Bateson hopes to elicit from honeybees other forms of apparent emotion, such as happiness. She also wonders about the mental effects of chemicals and disease. “It would be interesting to know if pesticides were altering their cognition, creating states similar to depression,” she said. Citation: “Agitated Honeybees Exhibit Pessimistic Cognitive Biases.” By Melissa Bateson, Suzanne Desire, Sarah E. Gartside, and Geraldine A. Wright. Current Biology, June 2, 2011.